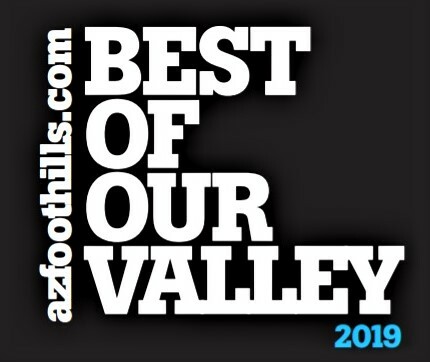 I'm so honored that this labor of love has been nominated in three categories for Arizona Foothills Magazine's 2019 Best of our Valley awards - Favorite Local Food Website, Best Food Feed on Instagram, and Most Influential in Valley Food. I'm so grateful for the support! I’m among an amazing group of talented colleagues on the nominee lists, and appreciate the recognition of Write On Rubee. You can vote once a day through the end of November by signing in through your Facebook or Google account, checking off "I'm not a robot" for verification, and clicking the black button on the bottom that says "Click Here to Vote". Nominees are listed alphabetically. Thank you for each and every vote!